Recently Apple announced the availability of DRM free music files from iTunes stores branded as iTunes Plus tracks, by now all of you might be aware that Apple embeds your iTunes account information in the DRM free songs that you purchase from them. Now let us see how we can remove these information from the DRM free songs using iTunes. 1. Open iTunes go to Edit > Preferences now in the window that is displayed to you select the Advanced Tab and click on the importing tab. 2. 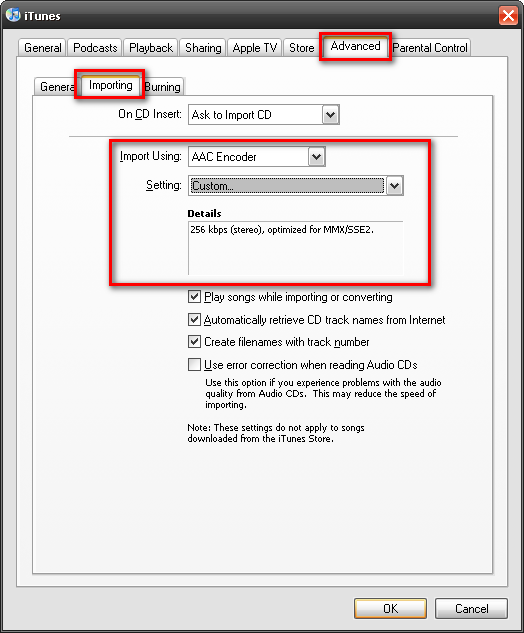 Now change the setting “Import Using” to AAC Encoder, select “Custom” for Setting. Now select bitrate that you feel appropriate, I would recommend you select 256Kbps bitrate. 3. 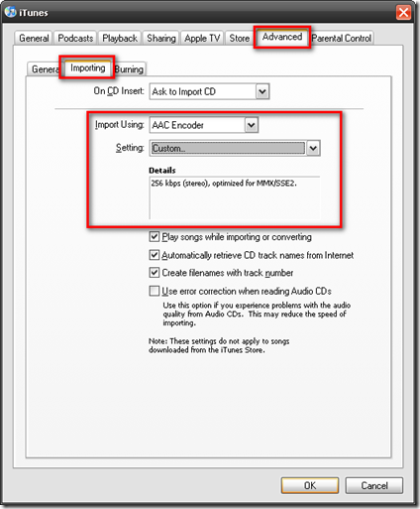 Now you are going to re-encode the songs that you purchased from iTunes stores. Select the songs from which you wish to remove iTunes account information, now right click those selected songs and select “Convert selection to AAC”. 4. The re-encoded songs will appear in a few seconds (that depends upon your CPU’s number crunching abilities). Now select the songs that you re-encoded, now right click it and select “Get Info”. Check if your iTunes account information has been removed and you will find it gone. Found Via Peppery9.net, refer to this link for more screen shots and more detailed explanation. Hi I have done this to 8 of my 12 songs, the rest of them shows an error (-3) and now i can’t convert them… Any idea on how to complete this process? If you intend to emerge victorious at PS3 Fight Night. Article Source: hope you find this article interesting. salads since the sounds of our forks tinkling fruitlessly around our bowls ceased to yield pay dirt. Hurrah! At last I got a blog from where I be able to truly get helpful information concerning my study and knowledge.